We found this picture near our school. 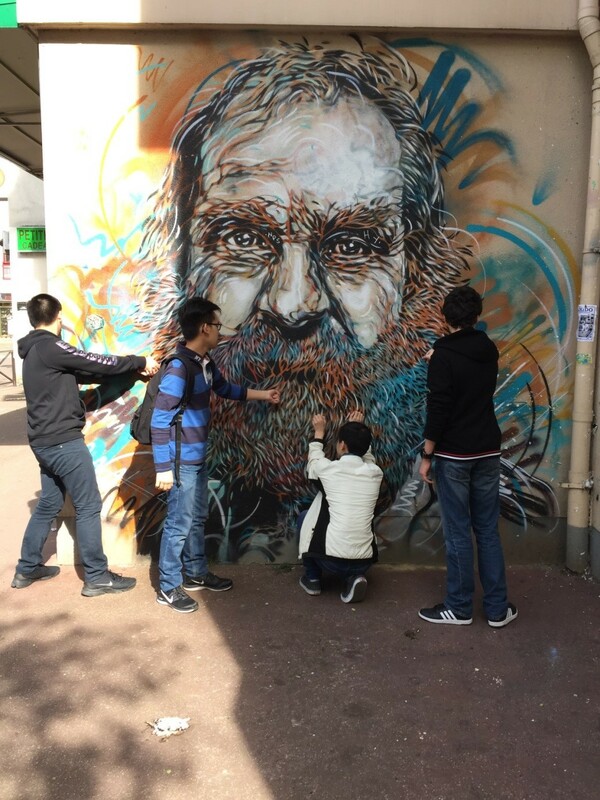 C 215 painted this artwork. It’s an old man with a colourful beard, hair and he is wrinkled. Laurent and Raymond are pulling the old man’s beard and Alexandre and Keenan are stroking his beard because they think this man is cute and they love him. We chose this picture because we like old people. They are very kind with children. 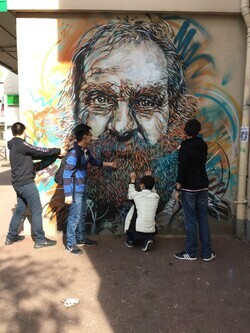 Raymond and Laurent are trying to hurt the old man because his beard is too long and they want to destroy it.